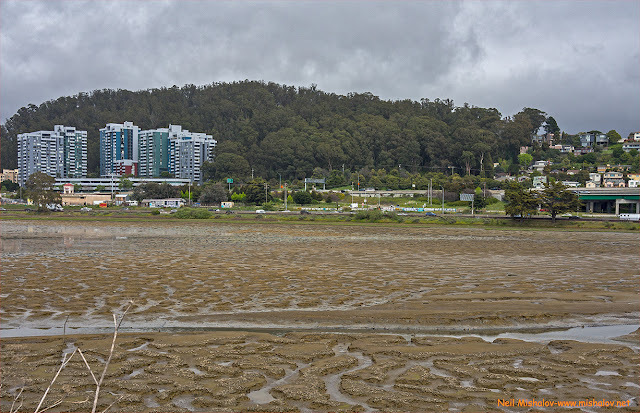 This is a view of the Albany Mudflats Ecological Reserve at low tide. This protected area consists of approximately 160 acres of tidal mudflats in the city of Albany. The photograph was taken from the Albany Bulb, and Albany Hill is visible. The view is looking east. 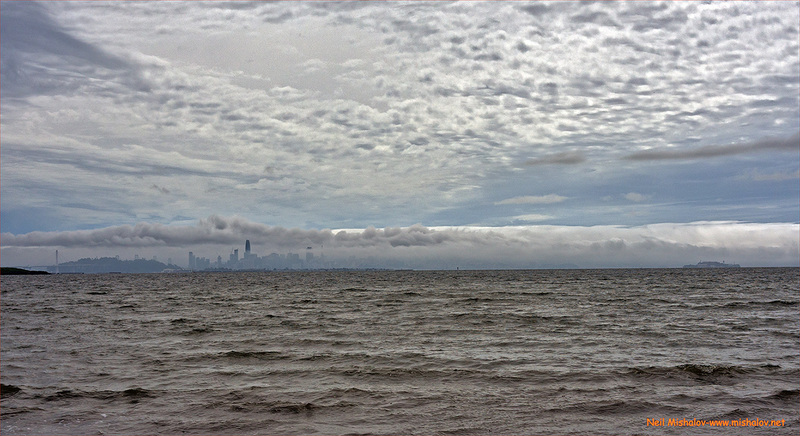 This is a view looking west from Albany Beach. 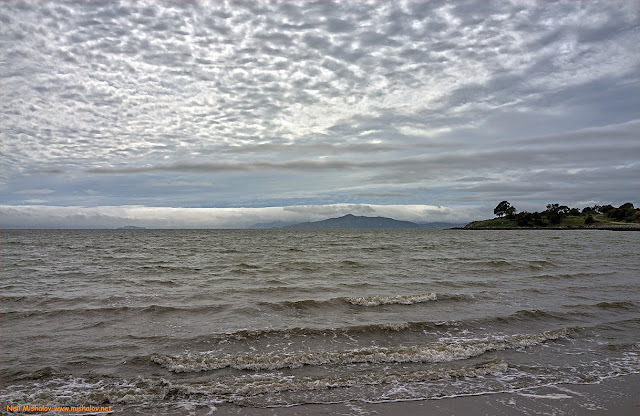 The north tower of the Golden Gate Bridge is detectable, and the Albany Bulb is visible on the right side of the photo. Berkeley can be seen ahead. This is a view from the east side of Albany Hill. Here is another view from Albany Beach. San Francisco is discernible in the distance. This is a view looking northeast from Twin Peaks Boulevard in San Francisco. This photo was taken from Mount Davidson. At 928 feet (283 meters), Mount Davidson is the highest point in San Francisco. 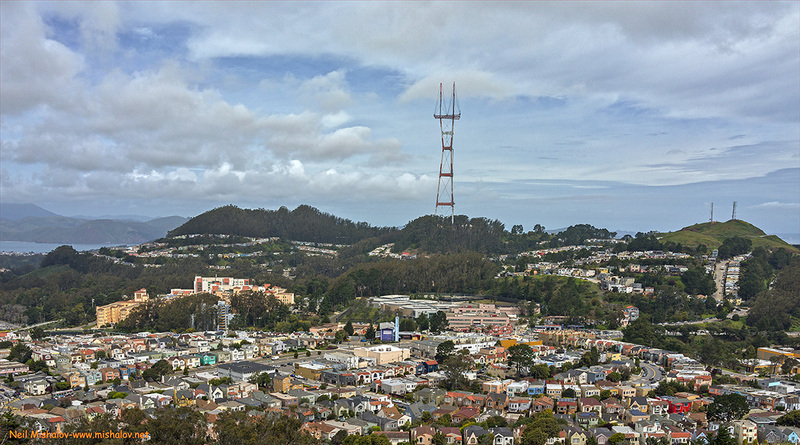 Twin Peaks is visible on the left side of the picture. This is a view of Eureka Peak, 904 feet (276 meters), which is the northern summit of Twin Peaks. This photo was taken from the top of Noe Peak, 910 feet (277 meters), which is the southern summit of Twin Peaks. This is a view of Eureka Peak looking north from the recently reconfigured roadway. This is a view of Eureka Peak looking south. 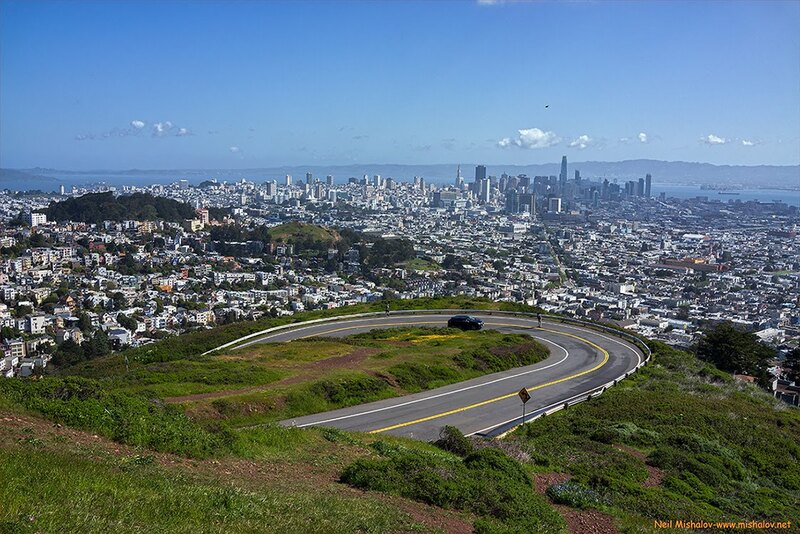 Traveling up to Twin Peaks. 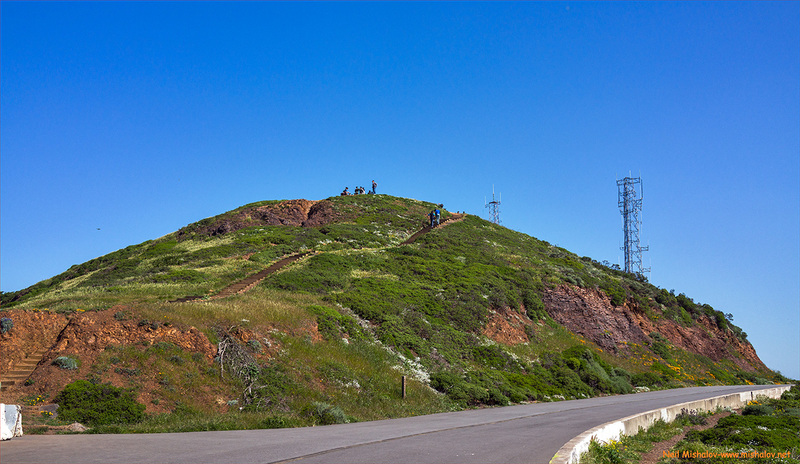 This is a view of Noe Peak looking south. 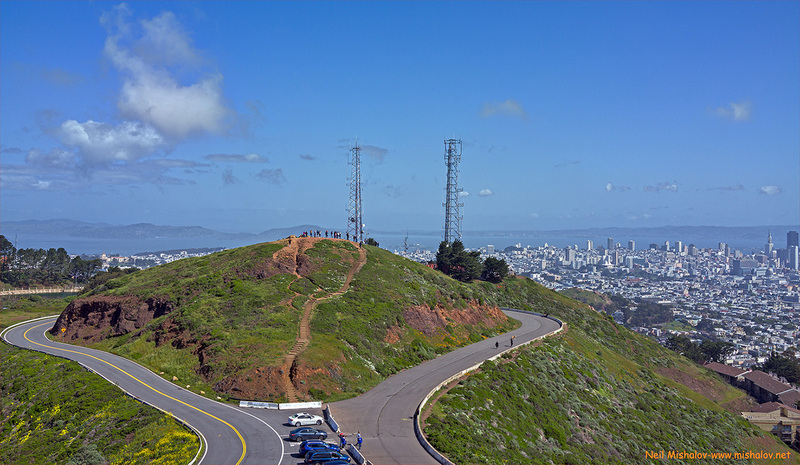 This is a view from the summit of Noe Peak. Mount Davidson is visible on the left; the Pacific Ocean is ahead. 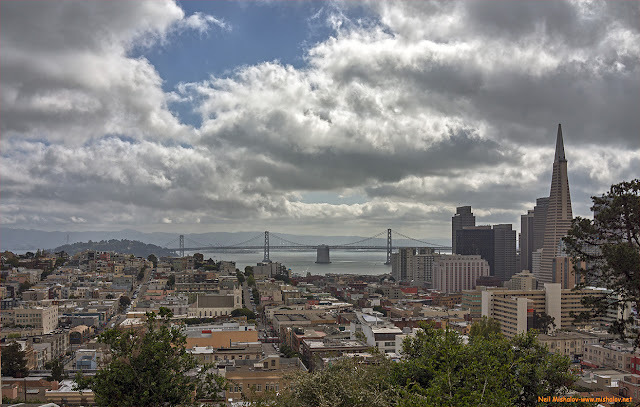 The picture is looking southwest. 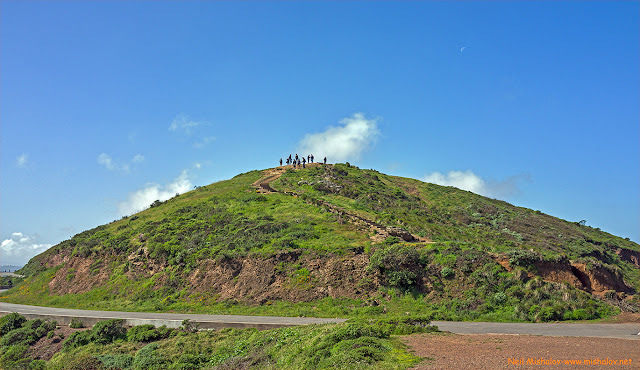 San Bruno Mountain is located in San Mateo County. 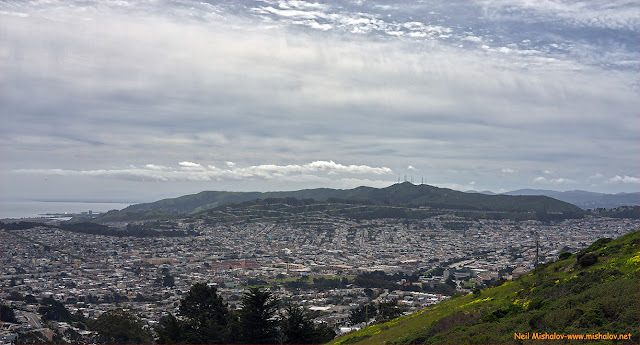 This is a view looking south from Mount Davidson. 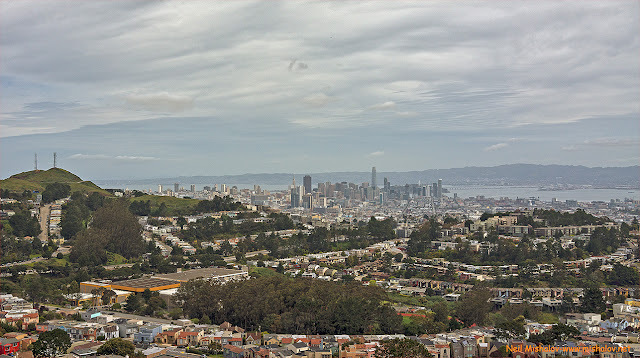 Here is another photo that was taken from Mount Davidson. From left to right are Mount Sutro, 909 feet (277 meters), Sutro Tower, and Twin Peaks. The view is looking north. 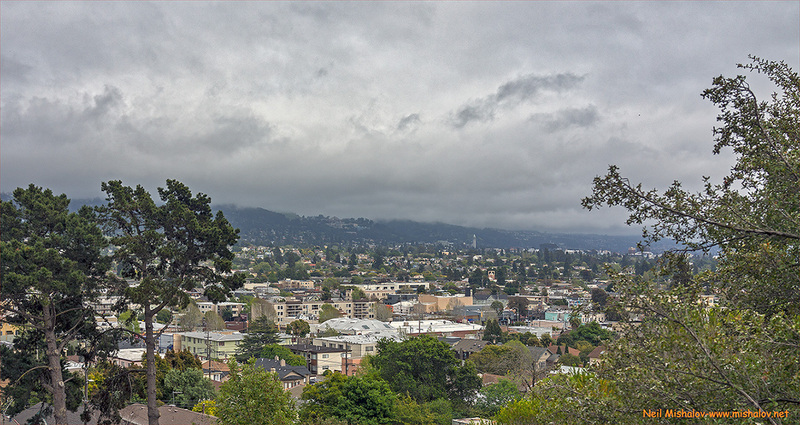 This is a view from Mount Davidson looking east. Glen Canyon Park can be seen. This is a view of cable car #13. 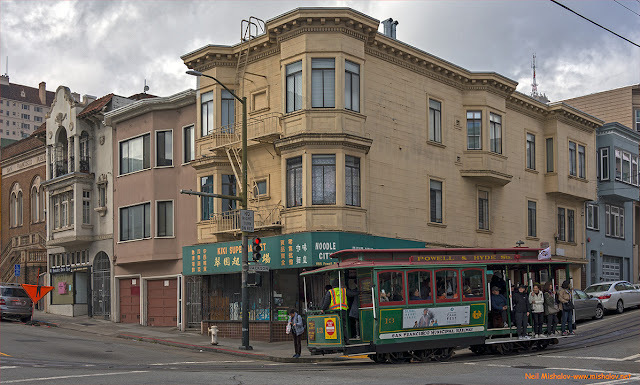 It is traveling outbound on the Powell & Hyde Street cable car route. The cable car is seen turning west onto Jackson Street from Powell Street. Partially visible on the left side of this photograph is the San Francisco Chinatown branch library. This library branch opened in 1921, and it was the sixth of eight San Francisco library buildings whose construction costs of approximately $750,000 were financed by Andrew Carnegie. 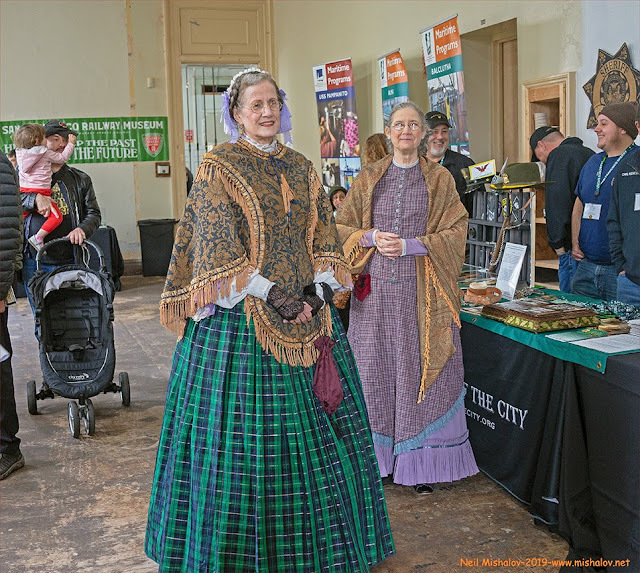 Thank you, Andrew Carnegie! 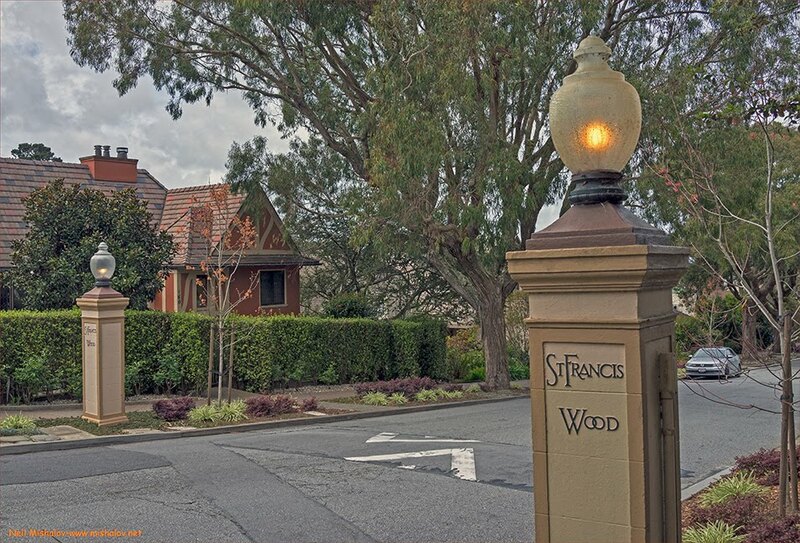 St Francis Wood is an affluent community located in the southwestern area of San Francisco. 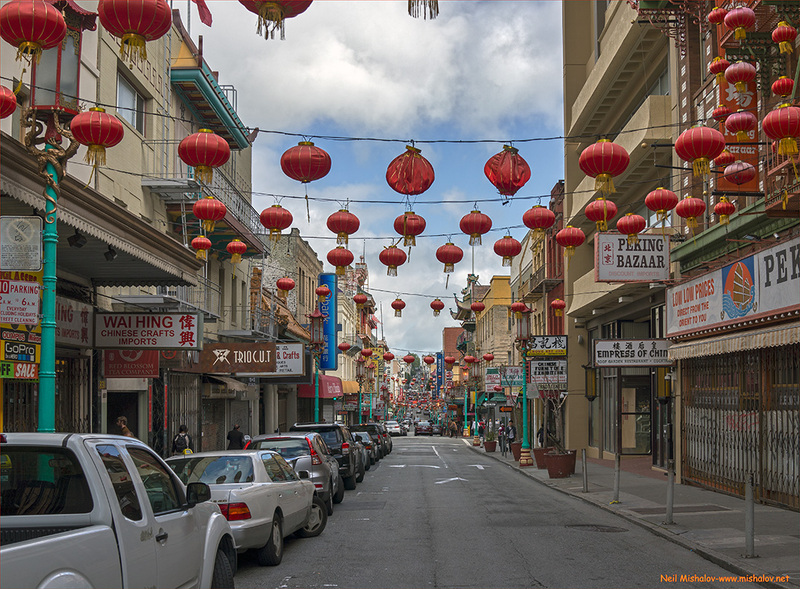 Here is a view of Chinatown looking north up Grant Avenue. 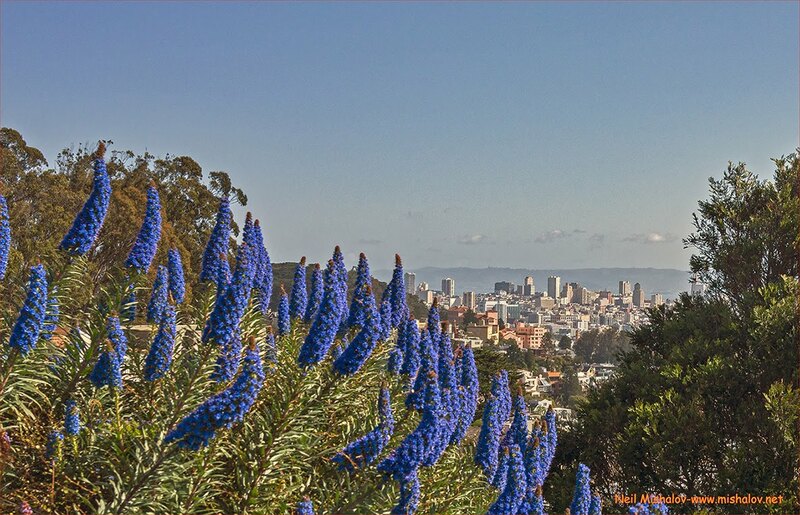 This is a view from the summit of Russian Hill. 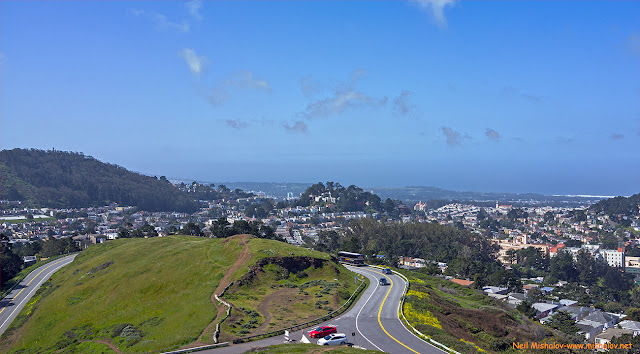 The Marin Headlands and the Golden Gate Bridge are ahead. 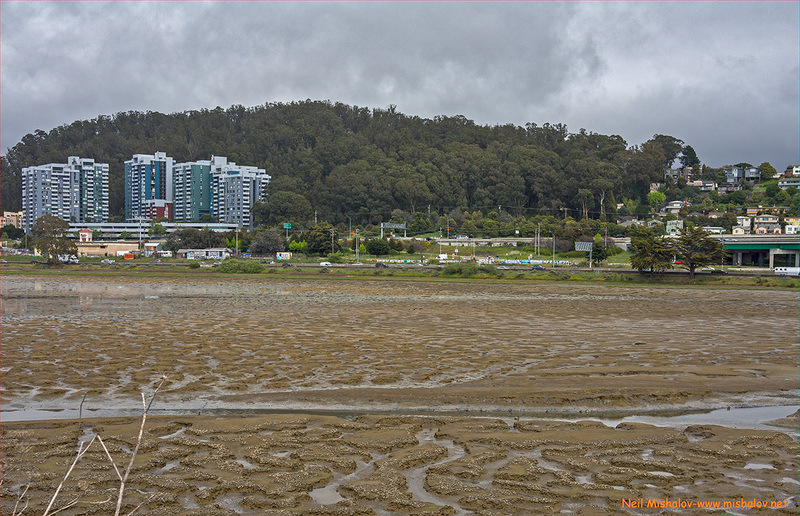 This photograph was taken from the Marina Green, and the view is looking north. 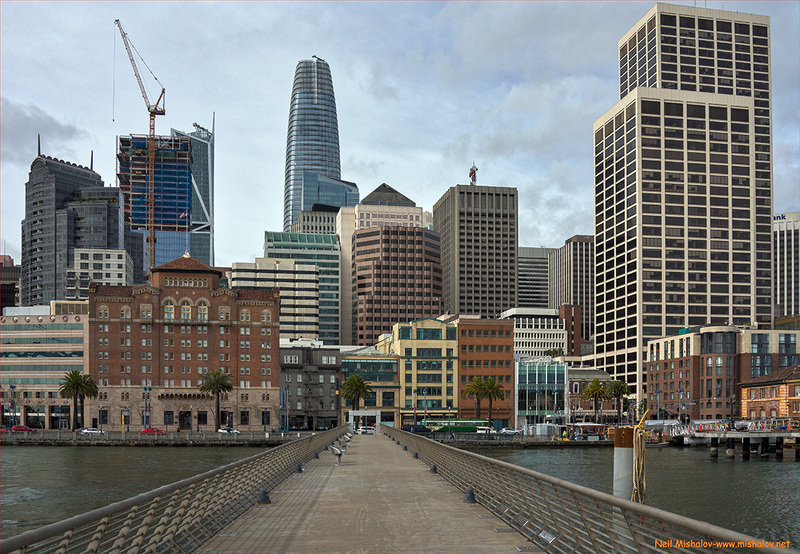 This is a view of downtown San Francisco as seen from Pier 14. 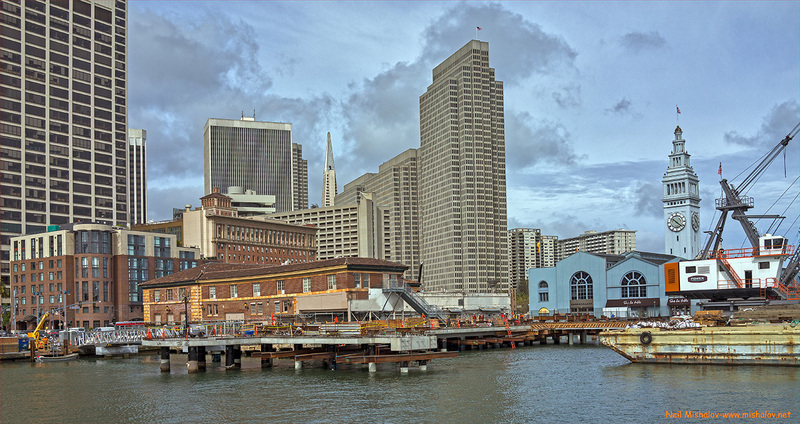 Here is another view from Pier 14. Construction is proceeding with the installation of three additional ferry piers which will be contiguous with the San Francisco Ferry Building. The clock tower on the right side of this photograph is the location of the Ferry Building. People are fishing from Pier 14. 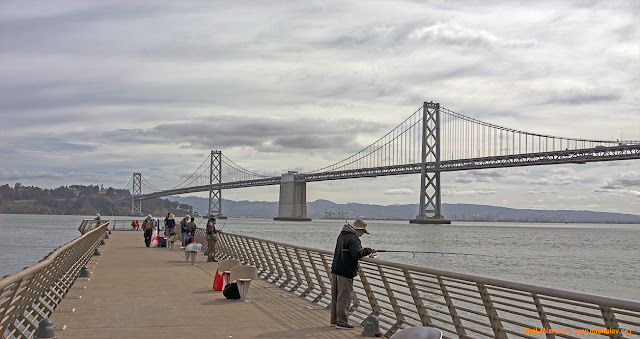 The western span of the San Francisco-Oakland Bay Bridge is ahead, and Yerba Buena Island is visible. 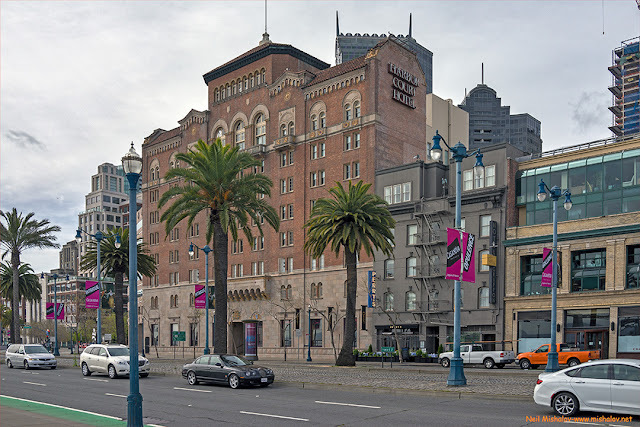 This is the facade of the original San Francisco YMCA Hotel. The YMCA Hotel is on the National Register of Historic Places in San Francisco. 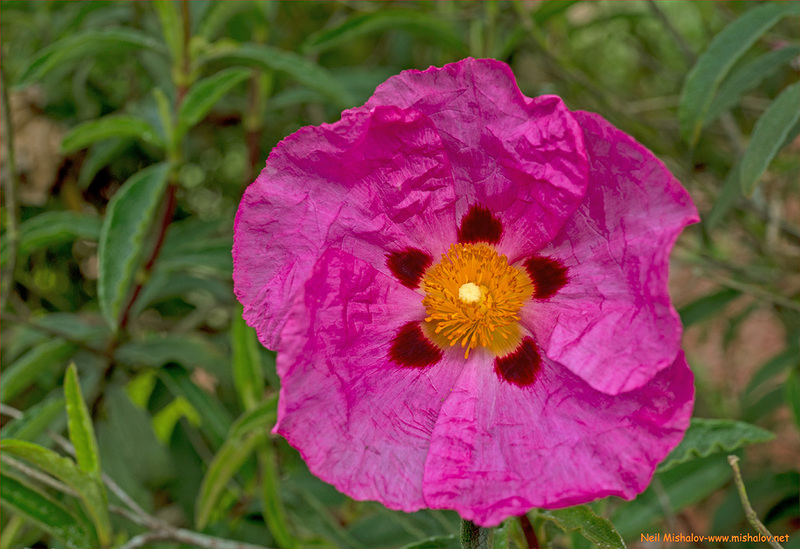 Registry #86000148. The building was constructed as a 400-room hotel in 1928. It was demolished approximately thirty years ago, except for the facade as seen above. A 131-room hotel was erected in 1991 on the site of the 1928 structure. The locale is now known as the Harbor Court Hotel. Here is a view of Alcatraz Island and Angel Island. 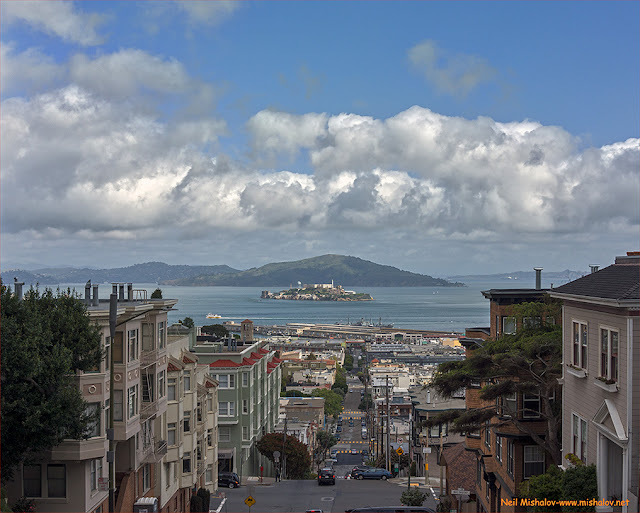 The photograph was taken from the intersection of Green Street and Jones Street, and the view is looking north.